Some Moto G4 Plus owners were upset when the originally promised news of an upgrade to Android Oreo disappeared from Motorola's marketing and it was suggested the budget handset wouldn't ever be upgraded to Android 8. Now, however, Motorola has confirmed it will be updating the Moto G4 Plus to Android O in the future to make up for any confusion. 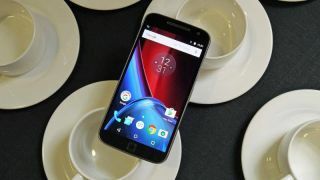 A Motorola spokesperson told TechRadar, "It’s been brought to our attention that there were some errors in our marketing materials around Android O upgrades for Moto G4 Plus. "This was an oversight on our part and we apologize for this miscommunication. It’s our general practice for the Moto G family to get one major OS upgrade per device, but it’s important to us we keep our promises, so in addition to the N upgrade it has already received, we will be upgrading Moto G4 Plus to Android O." The actual release date for Android O on the phone is unclear and the company has also said it will "take some time to fit it into the upgrade schedule" so it may take a little while. Motorola doesn't plan to upgrade the Moto G4 or the Moto G4 Play to Android Oreo, but you can see a full list of the devices Motorola is planning to upgrade here.